New and Used Cast Cutters are for Sale at The Dr’s Toy Store. Buy Cast Cutters now for the Best prices. 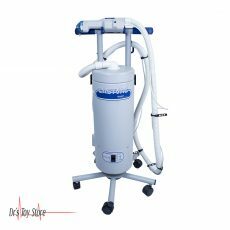 Cast cutters are known to be a device which is used to get rid of any cast materials without causing harm or damaging the tissue underneath it. For example the skin and the walking heel among others. Pneumatic cast saws are made for the purpose of cutting cast with the use of a serrated blade which oscillates at a high-speed perpendicular to the axis of the machine without full rotation. These saws are portable instruments with pneumatic motor, a mechanism to drive the blade and a hose connected to the pressurized gas source. In general, cast saws are portable handheld instruments and are rarely available as tabletop stationary devices. 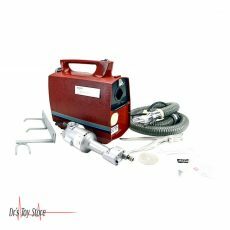 Oscillating pneumatic cast saws are used in the cutting of cast with the use of dedicated plaster or fiberglass blades majorly for removing casts, creation of a hinged cast, or opening a window in the cast in order to view underlying tissue. 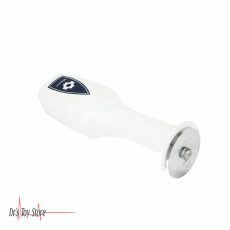 They can also be used for other cuttings such as the cutting of plaster and/or fiberglass jackets, dressings and molds. A cast saw is an electric device that is powered by making use of electricity. The cast saw is used on the arm or leg to cut off the cast that’s touching the skin. In order to avoid ending up in a bloody disaster, in a simple word: resistance. Just when you know the secret, you will be more relaxed when the whirring metal sawblade descends upon your body. The principle of making it work is very similar to what you have observed in life every day: if you try to write on a piece of paper without support, you really cannot go very far. The paper will easily fold and move, offering a bit of resistance. But as soon as the page is rigid, your pen or pencil can produce enough friction to mark the paper. This same general idea is in play with an oscillating cast saw. Since the saw blade only vibrates and it does not spin, the skin can resist contact without cutting (with a few exceptions). But the inflexible cast material plaster or fiberglass provides different types of resistance, and this allows the blade to perform its job. Presently, there are several types of cast cutters which are available, which makes the discouraging task of removing casts with the use of shears a thing of the past. Most are powered electrically, but others are powered by a high-pressure air source. Both the portable and stationary systems are used, and different blades are available for cutting various casting materials. Stainless steel blades are used for plaster in Paris but do not work well with synthetics. Special blades that produce less friction, such as dicronite, titanium nitride or Teflon, are recommended for synthetic materials. 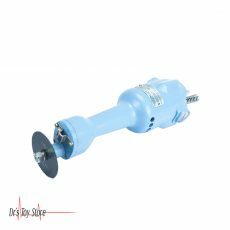 The American Orthopaedic™ cast cutter provides exactly what is needed when power, speed, durability, and ease of use are required. It is specially designed for rugged use: meaning it is a perfect tool with power and durability. Lubricated internally for longer servicing. The switch is designed and installed so that it does not break in case of falling. The Hex Drive offers 6 blade rotation that extends the lifetime of the blade by 50% in comparison with the similar competitive models. Below is a list of the Best Cast Cutter brands that are available for purchase at Dr’s Toy Store.